Local Projects are one of the world’s leading experience design firms, and renowned in the museum sector for creating some of the most exciting work on the planet. MuseumNext’s Jim Richardson caught up with Local Projects founder Jake Barton at his New York studios. Jim Richardson: Can you tell us a little about Local Projects? Jake Barton: Local Projects is an experience design firm. We bring together architecture and digital media to create experiences for everyone from science and art museums to brands. Our recent work includes a new store and laboratory for the Target company, working extensively with IBM with their Watson programme creating the next generation of experience centres for artificial intelligence, and working with museums. This week, the Museum of the City New York is opening a new core exhibition, and we also just opened a new wing for the Aarhus Museum in Denmark, which is very exciting. We’re also working with the New York Hall of Science. Jim Richardson: Local Projects is known for its amazing use of technology but I’m guessing that digital isn’t the starting point for most of your projects? Jake Barton: We started as a media design group but always looked past just the technology, to its impact and effects on audiences and mostly to convert audiences into participatory actors, creators, generators within the context of a museum. Our approach uses what we call the constructivist view of education. We think that humans learn best when they’re involved and engaged and when they create and generate things. This is particularly important for museums because you don’t have the benefit of sitting and studying because it’s a social space, because it’s an intergenerational space, because it’s a high impact, high touch space. So we look to how we can affect people and create situations where people generate new ideas and technology that’s a facilitator for that, but definitely not the only facilitator. We looked at architecture, we looked at storytelling and most of all we looked at emotion impact. So when we design a new experience, we think about how will this be emotionally engaging? Because in our mind, whether or not that user is high technology, low technology or old technology, emotional engagement is really what will age well. Meaning that if you look objectively at which exhibits last and which exhibits don’t, the things that basically last are the ones that affect you emotionally. The ones that really work are the ones that continue to tell a good story, that continue to make that human connection. One of my favourite examples are the dioramas at the American Museum of Natural History. Those were literally cutting edge technologies of their time, it was a Hollywood technique to make these sort of environmental spaces and in fact they were both scientists and educators who protested, who were angry and concerned about so called edutainment at the time that those dioramas were installed. But multiple generations later they still do their job incredibly well. I’ve brought my children and they’re entranced and engaged and that to us is the model. Jim Richardson: Telling the story of America and its people has always seemed so important in your work. Do you think storytelling has a role to play in bridging the divide in America following the Presidential election campaign? Jake Barton: Yes. I think that museums and libraries have a role to help bolster if not maybe regenerate what could be known as mainstream America. If you look at the media landscape over the last few decades, but particularly with social media and online platforms, everything is turning into micro niche silos and that structurally changes the fabric of a culture when you’ve got all these people in their own little echo chambers. I would argue that museums and libraries have an incredibly important role to play as purple institutions within red states and blue states. Bringing together people who frankly live in alternate realities, have different understandings of the facts and figures – I think that’s critical at this moment. On the other hand, I would not count some museums to be moderate, which seems counter-intuitive, but I feel that museums and all public institutions need to think of themselves as activist institutions. I feel today to be relevant you need to be a progressive activist organisation. That doesn’t necessarily mean that you need to weigh in to particularly charged water per se, but I do feel that libraries for example should be places that actively register people to vote. They should encourage civic engagement. They should educate people about healthcare. They should talk about immigrant’s rights. I feel that museums should foster dialogue and proactively reach out around shared values and common values for America including focusing again on the dispossessed and focusing on those who are challenged in our society. So museums need to figure out what they stand for and I think that would hopefully help to gather together Americans at this really challenging time. 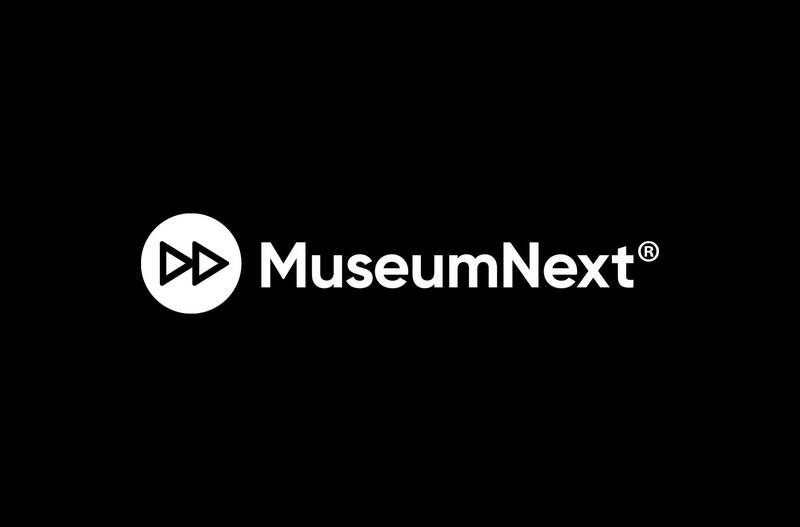 Jim Richardson: And at MuseumNext New York you spoke about a project that definitely isn’t shying away from history. Can you tell a bit about that? Jake Barton: The project that we spoke about for MuseumNext is with the Equal Justice Initiative led by Bryan Stevenson. It’s an organisation that was founded as a legal organisation working with people who are often times on death row or often times in extreme situations, but has extended beyond individual legal cases to investigate issues around injustice and poverty. Bryan Stevenson is an amazing individual who has grown from being just focused on legal matters into larger questions around different kinds of storytelling. He wrote a beautiful and very powerful book called ‘Just Mercy’ which chronicles his work at the Equal Justice Initiative. One thing that’s so powerful about the book is the way in which he’s able to humanise and to create just incredible depths of empathy around these individuals who our society have treated both incredibly unfairly and unjustly. The era that we live in today, which is commonly known as the era of mass incarceration, has just seen an incredible explosion of the prison population disproportionately in particular to minorities and particularly to African Americans. Bryan sees this not just as a legal problem but as a narrative problem meaning the frame and understanding of why we have this explosion of prison population is just fundamentally misunderstood. If you look at the lineage of American society from slavery to mass incarceration and see it as essentially a continuity of strategies, of biases, you start to understand that, there’s a responsibility to tell a different story in terms of that lineage and that’s what the museum is setting out to do. It looks to contextualise and track what you might call the myth of racial superiority that is pervasive throughout America and that frankly right now particularly in this election cycle is very, very hard to ignore. It’s in Montgomery, Alabama and as someone who lives and was born in New York City, it’s really hard to truly, I think, understand what the Deep South is actually like. For example, on my first trip down to Alabama, Bryan said, “It’s a different culture down here” and he told me about the state constitution of Alabama. This had written into it that schools were to be segregated, and while Federal law over turned those portions of the state constitution, those portions didn’t come out. This remained in the constitution and when the State held a referendum on removing it, the people voted for it to stay in. Then it came up again maybe 10 or 15 or 20 years later and they voted again for it to remain in the state constitution. Just recently in the last couple of years it became a competitive disadvantage for Alabama to have this in their constitution because as other states tried to draw multinational corporations to build their factories in the south as they do, places like North Carolina for example said, “Don’t go to Alabama this is a terrible climate, they have written in their state constitution that schools should be segregated”. So the business community rallied the population saying, “We having to take this out of the state constitution, this is an abomination”. I think four years ago the majority of people from Alabama once again said, “No, no, no, schools need to be segregated”, that is Alabama. That is the context of the Deep South. Jake Barton: Yes. So this is not a wild distant memory, this is not a wow we’ve triumphed over the past and I think America in the recent election was experiencing the shock and frankly horror of that reality. It’s not everybody and frankly it’s maybe not even a huge number of people who voted for Trump but that is the reality. There are a lot of people who never moved on, who never let go, who resisted civil rights when it happened, who resist it today and it’s not just the fringe of America. We now understand that. I think it’s like 54 per cent of white women voted for Trump, 64 per cent of white men. Jim Richardson: College educated people as well. Jake Barton: Yes, this is the nation that we live in and again these are narrative problems that a museum is hopefully well-suited to chronicle and to address. There have been different approaches to telling these stories, for example, of civil rights and I think whether it is a human instinct or an American instinct we want a happy ending. We want to know that good triumphs over evil. We want to believe that the time of slavery, lynching and domestic terror have passed and that we have moved on. Jim Richardson: And that Obama was the happy ending. Jake Barton: Yes, there certainly were a lot folks, a lot of people made that incredibly naïve error, particularly when he was first elected, of talking about a post-race era. That is just not even close to accurate and he himself is the first person to caution that he’s both just one individual who is certainly standing on the shoulders of giants and capable of becoming president because of so much hard work from generations in the past. But also that even as you can’t ignore that things have changed, you can’t imagine that there isn’t an incredible amount more to do. So continued growth of the prison population throughout the last few decades, but even under his presidency is shocking, it’s disgraceful and it’s the real outcome of a very concerted effort by a variety of actors in our society. So with From Slavery to Mass Incarceration as an institution, they are trying to really chronicle and contextualise that journey and to demonstrate frankly the continuity on a societal level and a legal level and its impact on generations of Americans. Jim Richardson: You’ve spoke there about the difference between New York and Alabama, but Local Projects works all over the world. So how do you get into the mindset of going into a museum in Denmark and then something completely different? What’s the process? How do you get under the skin of an institution in a completely different place? Jake Barton: I think there are techniques that we have developed as a studio. When we developed the 9/11 Memorial Museum, we recognised that the audience was so much larger than our own personal point of view in that the stakeholders themselves had unresolved questions, issues, challenges and conflicts that we needed to help either move past or to address. One of the main ways that we did that was to prototype quite aggressively during the design process to understand what audiences are doing with our experiences. Often times, I think there is a cultural component to that, but a lot of it is just a human behaviour component. That started with the 9/11 Museum and now we do it on all our projects. This really comes out of software. Software famously is best developed using scrums and quick iterative rapid rounds of prototyping and testing and observation and revision and for us we’ve taken learnings on how software is developed best, and applied them into physical design and into architecture. Essentially, we want to both push the envelope with new thinking on exhibitions and how they work and how they might be most effective. But with that you create an enormous amount of risk and so what we do with prototyping is address and analyse that risk by having people use our experiences way before they open to the public, and we fix and iterate on them. So, for example, I was just at a big interview for a project, you know, the main person said, “Hey can you tell me about moments where you develop technology and it’s failed” and to her surprise I said, “You know I hate to say this but we design stuff that fails all the time, it’s just the nature of when you’re trying to do new stuff”. If you don’t want to fail, you should just build exactly what you’ve always built over and over again. We just think that that is a poor approach, a) because it’s not always effective, and, b) because it doesn’t necessarily meet the goals of your mission and the outcomes that you seek. The difference is that we fail in advance of opening. We fail, it’s awkward and frankly embarrassing to build stuff that your clients don’t like or that worse their audience doesn’t like. But way better to have that moment of crisis and agony, six, nine, 12, 15 months in advance of the opening when you still have time to hang a u-turn to tear it up, to go back to the drawing board, to re-examine your assumptions or to develop the technology further. By the time you’re open, we will have tested, prototyped, iterated change and varied our approaches countless times with an enormous amount of effort, but necessary effort. So that when you cut the ribbon and the audience shows up and they start using things and changing things and altering materials and playing and engaging, you have the upmost confidence that you know this is going to work, not because you think you’re smart, but because you’ve seen other people do it.